Morehouse College has officially launched its SMASH pathways pilot program, according to The Undefeated. 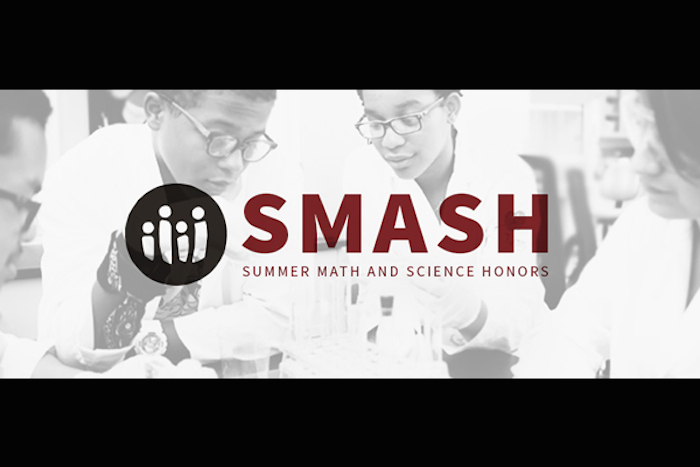 SMASH (The Summer and Math Honors Academy), is a project that is a part of the Level Playing Field Institute (LPFI). SMASH, a program typically conducted on college campuses in California, has provided students with the opportunity to explore STEM fields further. Morehouse College is the first HBCU to participate in SMASH and is the first to host a SMASH program outside of California. The program is a free science, technology, engineering and mathematics (STEM) enrichment and exposure summer program for 8th grade students from underrepresented communities, prior to their transition to high school. 39 rising 9th graders, who come from underrepresented areas in Atlanta, will spend 5 weeks on campus being trained on math and science concepts. Photo: Morehouse Excited about the opportunity, Morehouse president John Silvanus Wilson, Jr. said, “We cannot expect children from underrepresented communities to flourish in the tech space if they are not provided the same resources and opportunities to participate as their more privileged counterparts. At Morehouse, we are proudly taking the necessary steps to ensure we change the status quo in tech by partnering with LPFI and offering this opportunity on our campus for youth in the greater Atlanta community." Congratulations to Morehouse College on continuing its tradition of excellence and serving the youth of Atlanta!